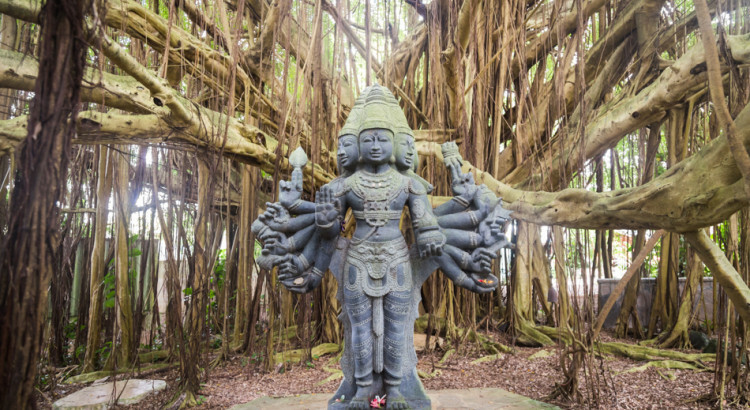 Among Kauai’s abundant hidden gems is a (very) quietly tucked away Hindu Monastery where all visitors are welcome to benefit from the peaceful and spiritual settings whether for reflection, appreciation or meditation. Located on the banks of Kauai’s Wailuā River, the incredibly lush property covers nearly 382 acres of gardens, buildings and sculptures which are an excellent example of a harmonious marriage between man and nature. The 20 monks from 6 nations which reside here are entirely self-sufficient and also are quite tech-savvy given that this is the headquarters for the Himalayan Academy, the worldwide publication Hinduism Today Magazine, and their modern website and blog.